A number of Myanmar Journalist organisations have issued a statement in response to the arrest of two Reuters correspondents, Thet Oo Maung, aka Wa Lone, and Kyaw Soe Oo, aka Moe Aung, who were arrested on the 12 December under section 3 of the Myanmar Official Secrets Act. “We believe that reporters have the right to visit sources of news and also the right to collect and question facts relating to such news for the sake of presenting accurate and correct stories. Though we accept some of the facts collected should not be disseminated into the public domain as they might threaten state security, accusing reporters of violating the Myanmar Official Secrets Act is a threat to the freedom of press. We, media organizations, see the arrest of reporters under the archaic Myanmar Official Secrets Act, drafted and enacted in 1923 by British colonial masters, with the intention of suppressing and oppressing their subjects, is an act tarnishing the image of the democratic government. 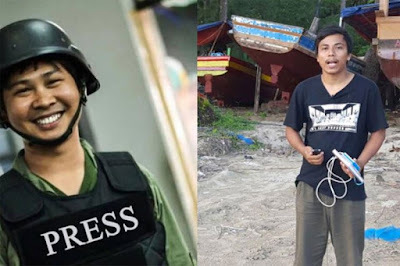 Furthermore, the current arrest of the two reporters may damage the dignity of the government in which is already under intense media criticism by international media regarding the Rakhine affair. We are very concerned about the alleged denial of access to the detained reporters by family members, and we are worried about the violation of their fundamental rights.